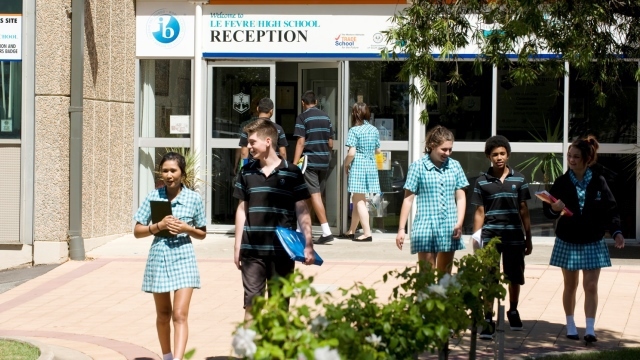 Le Fevre High School is one of the longest established secondary schools in South Australia with a proud tradition of providing quality education extending from 1910. Currently Le Fevre High school is a dynamic and exciting educational establishment providing a diverse range of educational pathways within recently upgraded and extended world class facilities. Our programs include being a lead school in the SA Trade Schools of the Future program, a member of the Western Adelaide Secondary Schools Advanced Skills Industry Program, a recently announced Maritime High School Program focusing on high level Maritime skill sets, Mathematics, Sciences and IT skills applicable to the Navy and associated maritime industries, renowned multimedia arts and skills centre, a full university preparation academic pathway, strong vocational opportunities, an excellent performing and visual arts program, and a comprehensive pastoral care and case management approach to supporting students' well being in all its dimensions as they make the journey from early adolescence to young adulthood in our care.